a famous saint of valley who was actually a Hindu Prince Zia Singh belonging to the princely state of Kishtwar. He lived in 15th century AD in this district. 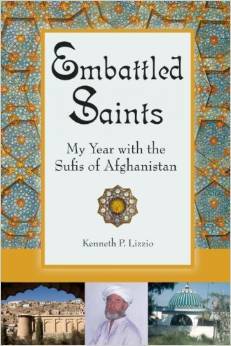 Zain-ud-Din Wali converted into saint from a Hindu Prince at very young age. His father Yash Singh, the king of Kishtwar, passed away when the prince was just 13 years old. At the same time, Zia Singh also suffered from a severe disease with little chances of recuperating. During those days, Sheikh Nur-ud-din was passing through this region. He was a saint popular for his miraculous powers. When Zia’s mother prayed to him for recovery of her son, he agreed to do so but with a condition that required Zia Singh to meet him in Kashmir after getting well. But Zia Singh did not keep his promise and he again became ill. This time, his mother was very anxious and she again promised the saint in her dream to meet him in Kashmir. just moved away from that place. 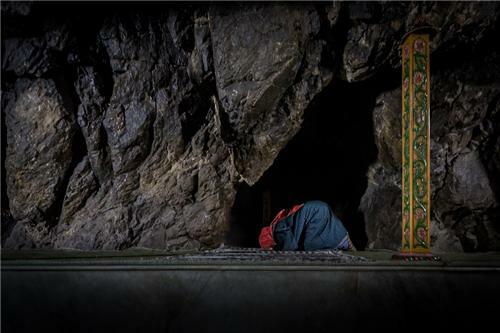 Sheikh meditated in this cavern for decades and it became his eternal abode thus. remnants of this venerated saint include his bow, a rosary, wooden club, wooden bread, a patten, and holy Quran. his urs festival every year are people belonging to all faiths and gender without any discrimination. valley. Buses and taxis are easily available from both Anantnag and Pahalgam to visit this shrine. 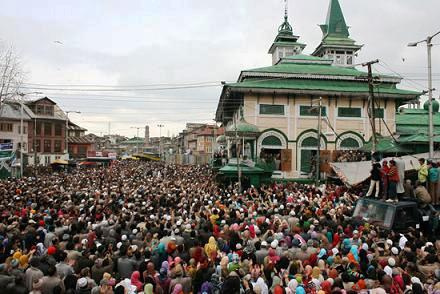 From this road, there is a diversion towards right that takes straight to this shrine of Hazrat Zain-ud- Din Wali. It is just few hundred meters away from main road and this distance can be covered even by walking. 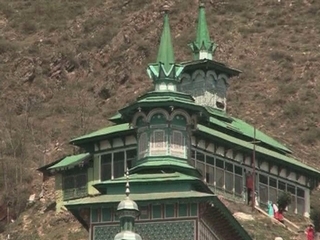 The shrine of Hazrat Saykh Zainuddin Wali( RA) is situated on the banks of Lidder River- about 2 kilometers away from famous world class hill resort in Pahalgam. 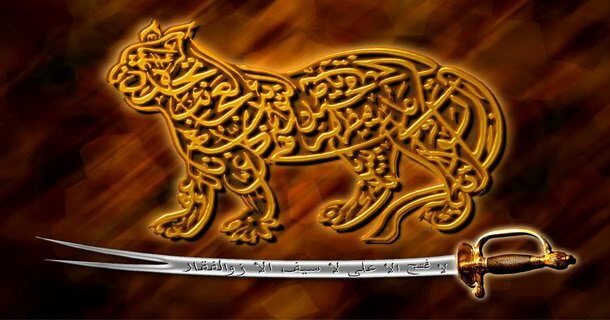 Hazrat Zain ud din Wali (RA) who lived in the 15th century A.D. was one of the principal disciples of Sheikh Nur-ud-din. Sheikh Zain-uddin Wali( RA)who was known by the name of Zia Singh before his conversion was a prince and belonged to the ruling Rajas of Kishtwar. His father Yesh Singh, the then Kishtwar ruler, is said to have been assassinated when Zia Singh was only 13 years old. Baba Zain Ud din Reshi was born at Bounderkote Kishtwar. He belonged to a Rajput Hindu family and was earlier named as Zia Singh. According to legend, that Zia Singh is believed to have been suffering from some incurable disease which took a serious turn leaving no prospect of recovery. Sheikh Nur-ud-din is said to have passed through Kishtwar just at that time and having heard of his miraculous performances, Zia Singh’s mother begged of the Sheikh to visit the patients and to pray for his recovery. The Sheikh agreed to pray on the understanding that Zia Singh would meet him in Kashmir after the recovered. Zia Singh did not however keep his promise and after sometime he was again confined to bed. His mother kept on crying day and night until she had a vision in which Zia Singh’smother promised that she would fulfill her obligation this time if her son would recover again. With the restoration of his normal health, Zia Singh proceeded to Kashmir to meet his benefactor. Mother and the son undertook the hazardous journey from Kishtwar to Bumzua- a village about 8 miles south of Aishmuqam, where Sheikh Nur-ud-din was staying at that time. It was at this place that both Zia Singh and hismother embraced Islam under the guidance of Zain-ud-din and Zoon Ded respectively. Among the local inhabitants , legend has it that Zain-ud- din medicated for a long time in village Mandjan of Tehsil Sopore where he attained spiritual perfection, It was at this stage that Sheikh Nur-ud- din advised him to migrate to the cave at Aishmuqam and to meditate there for the remaining period of his life. On his arrival, sheikh Zain-ud-din found the entrance to the cave blocked by snakes, cobras and reptiles, It is said that the saint carried with him a club which he had received from his master. Seeing the serpents, he placedthe club on the ground and it was instantaneously transformed into a dreadful cobra. The snakes in the cave got awestricken and not only surrendered to the Sheikh but also vacated it and migrated to the village Phuurpujan which is about 16 miles to the east of Aishmuqam. The exact date of the death of the saint is not known. His Urs or anniversary is, however, being celebration on the 13th day of Baisakh corresponding to 25th of April. Two mosques on unknown as Khankah are also attached to the shrine. The Khankah besides being used for prayers is also a repository of the relics of the saint which are held in high esteem. These consist of a bow, a patten, wooden bread, a rosary, a wooden club and a copy of Quran. It is said that the saint observed fasts frequently and whenever he felt hungry he licked the wooden bread to satisfy his appetite. These relics are publicly displayed whenever the village meets with some catastrophe, such as a famine, epidemic, etc. The shrine attracts hundreds of thousands of people from all parts of the valley every year. On the date of anniversary of the saint congregational prayers are held which are attended by more than 20,000 people.According to legend, the festival continues to be celebrated from pre-Islamic times and dates back to about two thousand years. This is a symbolic gesture of the people to indicate the spiritutual ardor quality of the saint who had fought against darkness. To pay obeisance and respect to this great saint, people, m village children of south Kashmir, used to hold the torch processions in their respective village lanes. 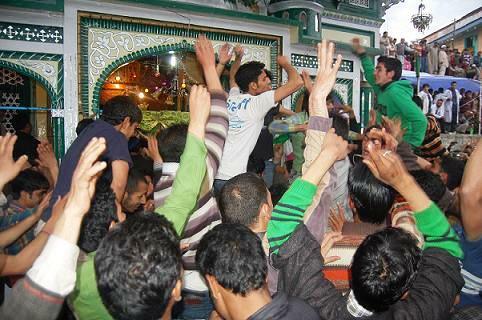 The largest among the gatherings would be witnessed at the shrine of the saint at Ashmuqam. Tradition has survived the political, social, cultural and technological onslaughts as thousands of devotees visit the shrine, light up the torches, on his anniversary, and celebrate the occasion with great religious fervor. The shrine of Zain-ud-din is respected by all communities and they actively participate in the celebration of the anniversary.